Beijing’s blue water naval ambitions are taking hold in the Indian Ocean region. 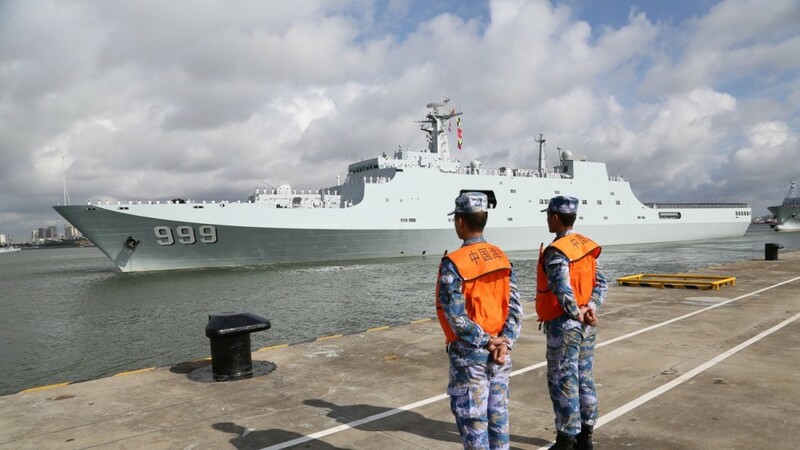 China’s August opening of its new naval facility in Obock, Djibouti signalled a substantive and symbolic shift in its diplomatic and military policy. The footprint of China’s People’s Liberation Army Navy (PLAN) in the region has been steadily expanding in recent years, as seen in its role in evacuations of Chinese nationals from Libya in 2011 and Yemen in 2015. Similarly, the PLAN has been a major actor in the counter-piracy effort off the Horn of Africa. While these represent notable shifts in traditional Chinese foreign policy, the opening of the Djibouti facility is the most abrupt alteration of China’s previous approach to international relations. The global community is now trying to interpret the underlying motivations and future prospects of China’s strategic revision. China’s strict policy of non-interference in questions involving the sovereignty and territorial integrity of other states has been a cornerstone of its foreign policy since Premier Zhou Enlai established China’s ‘Five Principles of Peaceful Coexistence’ in 1953. Nevertheless, this paradigm is undergoing revision, as demonstrated by the intervention of Chinese peacekeeping troops in Sudan in 2015 and now the Djibouti facility. China is highly sensitive to perceptions that its expanding presence in the Indian Ocean is a signal of imperialistic designs. In keeping with China’s long-standing policy of no foreign military bases, Chinese officials refuse to call the Djibouti facility a base, instead resolutely labelling it a ‘support facility’ or ‘supply station’. Here, China is seeking to distinguish the PLAN as a logistical support force, as opposed to a power projection force. In an effort to consolidate an image of China as a responsible and cooperative international actor in the region, Beijing has offered to take over the role of mediator in the Djibouti-Eritrea border dispute following Qatar’s withdrawal as the intermediary. China’s 2015 White Paper titled ‘China’s Military Strategy’ asserted “the traditional mentality that control of the land is more important than control of the sea must be abandoned, and great importance has to be attached to managing the seas and oceans and protecting maritime rights and interests.” The PLAN had already actioned this mandate, with the navy pushing in recent years to expand past its previous focus on the ‘near seas’ to the ‘far seas’ courtesy of long-term operations like those seen in the Gulf of Aden and the Arabian Sea. However, in order to realise Beijing’s new maritime ambitions, the PLAN has to do more than just operate sporadically in the far seas. The onus is now on the navy to develop the ability to sustain an ongoing enhanced forward presence in order to provide constant protection to China’s growing interests in the Indian Ocean region. As such, gaining continuous access to strategic ports across the region is the next imperative. China is acutely cognizant of global concerns regarding its expanding maritime presence, demonstrated by its conspicuous avoidance of developing any naval facilities at its newly-built ports in Gwadar, Pakistan and Hambantota, Sri Lanka. As such, China will likely look to acclimatise the world by initially having a strong emphasis on using the Djibouti facility for commercial purposes. Expansion of PLAN presence in the Indian Ocean will be constant. Although the increases in China’s defence budget have slowed marginally since 2014, IHS Jane’s Defense Budgets forecasts that the budget is still expected to increase to $260 billion by 2020. In light of the 2015 White Paper’s emphasis on the shift to a maritime focus, expect to see much of these funds utilised to increase PLAN presence in the southern hemisphere. Additionally, many of China’s State-Owned Enterprise resources used in South China Sea reclamation projects have finished their island building and are shifting focus to the Indian Ocean region. For instance, the China Communications Construction Company (CCCC) and its subsidiary China Harbour Engineering Company (CHEC) have already begun extensive projects in Bangladesh, Singapore and Myanmar, in addition to building the Djibouti facility. The extent of these resources now available to engage in port construction projects point to an escalating rate of construction of new PLAN facilities in the Indian Ocean. A NEW STATUS QUO IN THE NEXT DECADE? 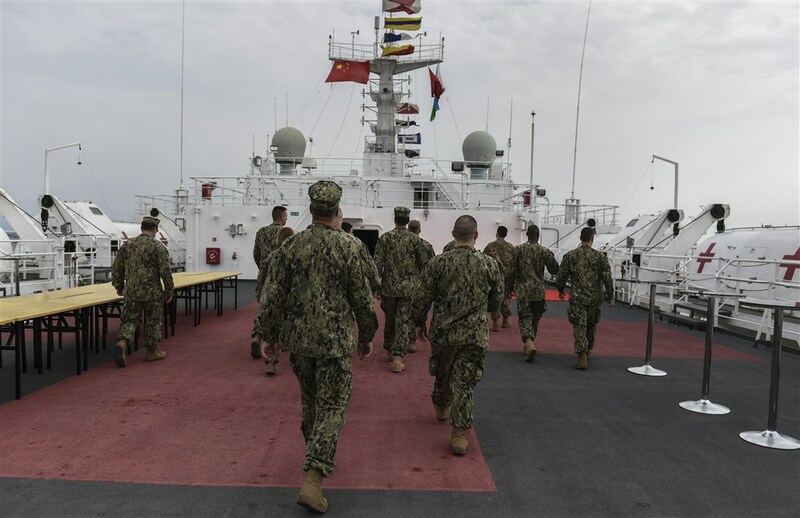 In the short term, the Djibouti facility will improve the PLAN’s capability to respond to freedom of navigation incidents in the Persian Gulf. However, looking forward, the PLAN is moving to develop its sea denial capabilities in the Indian Ocean and hence will look to expand its network of facilities across the region. Potential candidates to host PLAN facilities include Pakistan, Myanmar, Sri Lanka, the Maldives and the Seychelles. The network of facilities will likely consist of a north-west Indian Ocean replenishment line of ports stretching from the Middle East down to Central Africa in addition to a central or southern Indian Ocean supply node revolving around the Seychelles and Madagascar. If achieved, such a network would effectively provide the PLAN comprehensive access to the entire Indian Ocean. Considering it only took three months from the time of China’s confirmation that it would build a facility in Djibouti to initiation of construction, the rapid turnaround rate suggests this network could be achieved within the decade. 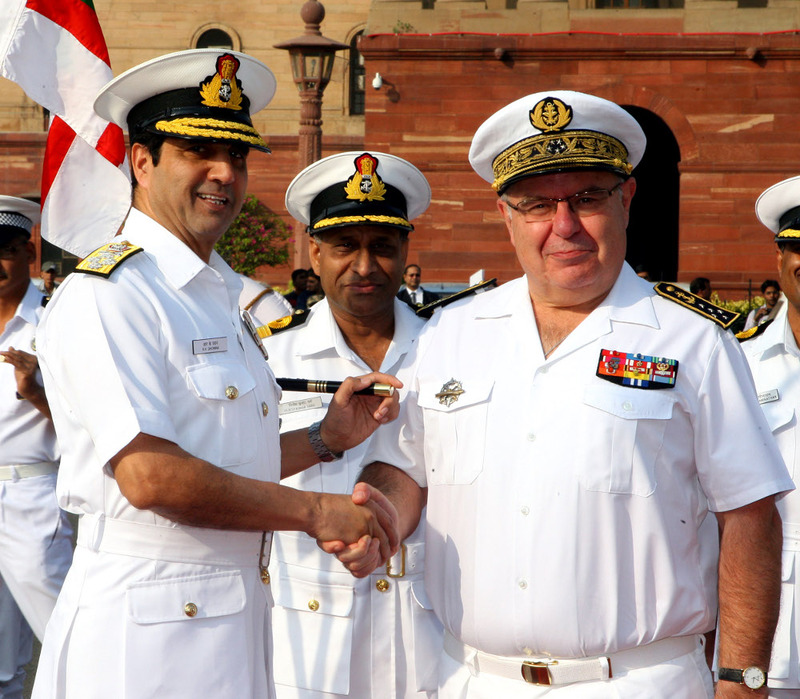 The looming changes to the maritime region’s status quo have generated unease in India. New Delhi has already begun reviving its existing maritime partnerships and building new ones to counter China’s rising presence. France—with its territories in the Indian Ocean and naval facilities in the Middle East—is emerging as a key partner in this respect. The White Shipping Agreement signed in January 2017 is being touted as a pre-cursor to further and more extensive Indo-French maritime security arrangements. The PLAN’s growth trajectory suggests it is closing in on its aspirations of becoming a blue water navy. However, without establishing numerous formal access points across the Indian Ocean region, these new capabilities won’t be able to be deployed to a level sufficient to realise China’s plans to enhance its forward presence in the region. The Djibouti base is a critical step in furthering these blue water aspirations and will establish a nucleus around which China can substantially increase its naval presence.